Here is a great opportunity to get a discipline added to your NRA Instructor Training Credentials. Ron Noakes is offering the NRA Home Firearm Safety Course on a Friday night for any instructor that already has at least one discipline. There will be no (BIT) basic Instructor training so you must already have that NRA instructor training. This great course is being offered at a greatly reduce price, making it easy for a person to attend NRA Instructor Training class is one way Ron is helping the shooting community. 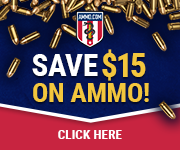 These NRA Instructor Training Courses are being offered at twice this price. 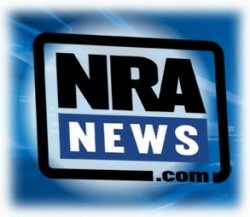 If you have not had the opportunity to take NRA Instructor Training with Ron you are missing a treat. NRA Instructor Training in Home Firearm Safety is being used as a 4 hour safety class to meet the Colorado State requirements for a Concealed Carry Permit. Teaches the basic knowledge and skills, and explains the attitude necessary for the safe handling and storage of guns, in the home. This is a four-hour course for safe gun handling that is conducted in the classroom only. Students are taught NRA’s three rules for safe gun handling; primary causes of firearms accidents; firearm parts; how to unload certain action types; ammunition components; cleaning; care; safe storage of firearms in the home; and the benefits of becoming an active participant in the shooting sports. Ron Noakes, NRA Training Counselor will be holding two evening class sessions in the month of July for the Home Firearm Safety Instructors Course.  Home Firearm Safety Instructors Course participants need to be certified in at least one discipline to attend this course. There will be no Basic Instructor Training done with the Home Firearm Safety Instructors Course. Courses will be held Friday July 22 and Friday July 29 at 5:00pm. This Course is approximately 4 hours plus exam time. In this four hour course students will get the NRA’s Home Firearm Safety handbook, pamphlets on safety and terminology and lessons on the rules of safe gun handling, identifying and unloading various firearms, ammunition, cleaning, and storage. Students will also get hands-on experience with the most common types of handguns, rifles and shotguns. Home Firearm Safety Instructors Course is normally not offered at this low price….take advantage of the offering for these two classes. Sign up today for the Home Firearm Safety Instructors Course. There will be approximately 6 spaces in each class.